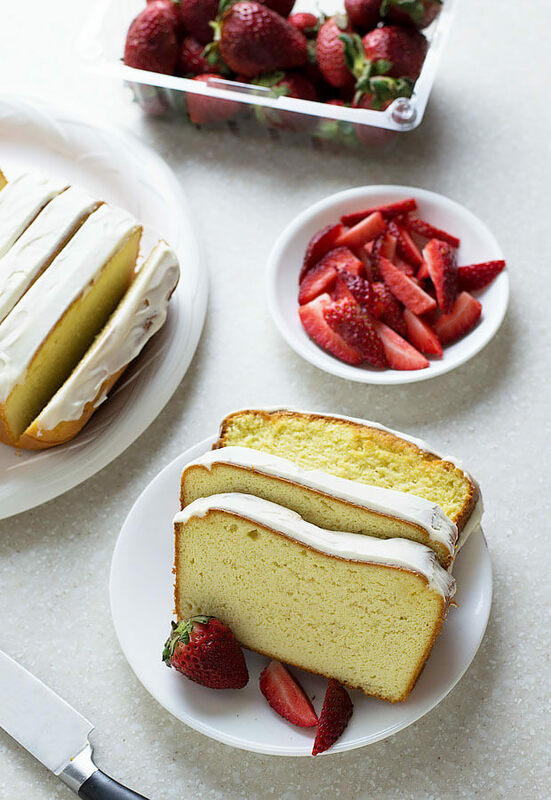 This basic keto pound cake has the perfect blend flavors. 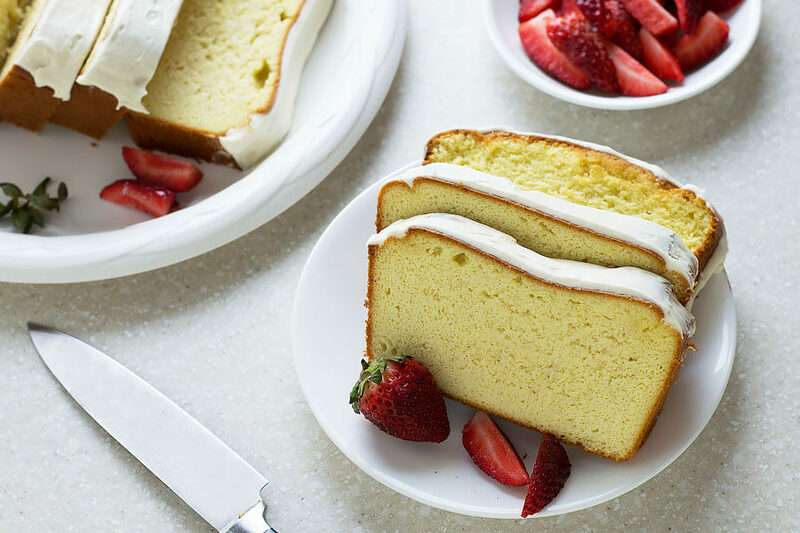 It’s just enough lemon and vanilla to add a nice layer of added flavor to this standard cake. Don’t care for lemon extract? Just replace the lemon extract with more vanilla extract, or use another extract. The beauty of this recipe is that it is easily adaptable and you can change the flavors to suit your own tastes. Sometimes I’ll use only vanilla extract in place of lemon, or use butter extract with the vanilla extract. When I’m really in the mood I’ll toss in some berries before baking. The texture of this pound cake is very dense and rich. I don’t doubt that you’d be able to easily fool someone who is not following a keto diet plan. It tastes just like a flour based pound cake. It’s sweet enough without being overly sweet. If you want to add some more sweetness to the loaf, I’d suggest a very small amount of stevia instead of adding more erythritol. 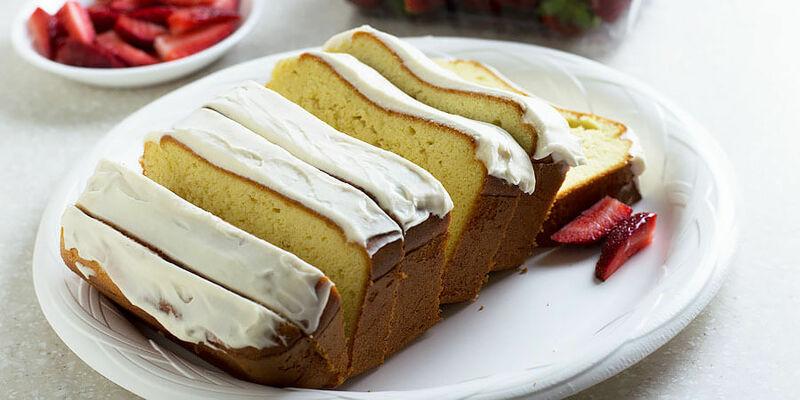 This pound cake freezes well whole or in individual slices. Personally, I find it easier to slice the bread before freezing. That way, whenever I’m in the mood for a last minute dessert I can just take this out of the freezer. I like to let it thaw out on the counter for a couple hours. There is no need to put in the microwave. 1. Preheat oven to 350°F. Toss in room temperature butter, softened cream cheese, and erythritol into a mixing bowl. 2. Cream together the butter and erythritol until smooth. Then, add in softened chunks of cream cheese and blend together until smooth. 3. 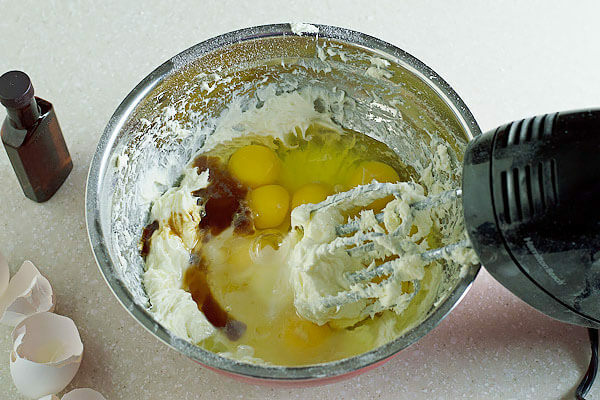 Add in the eggs, lemon extract,and vanilla extract in with the blended ingredients. 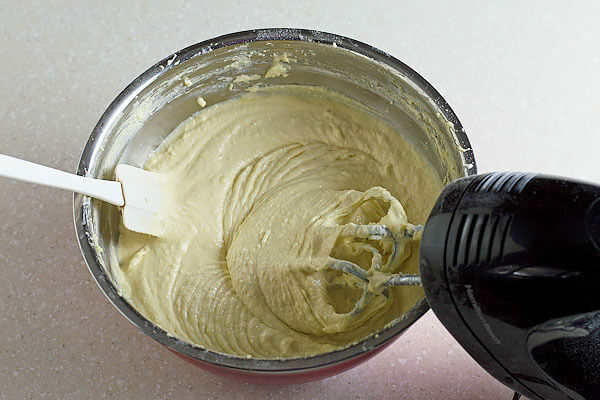 Blend with a hand mixer until smooth. 4. 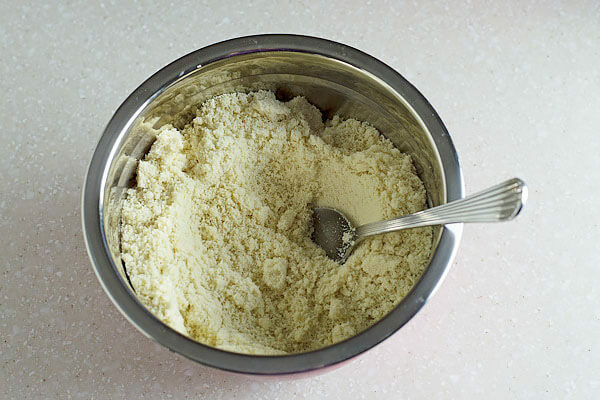 In a medium sized bowl: mix together the almond flour, baking powder, and salt. 5. Slowly add in the ingredients from the medium sized bowl into the batter. Use a hand blender to blend the clumps until very smooth. 6. 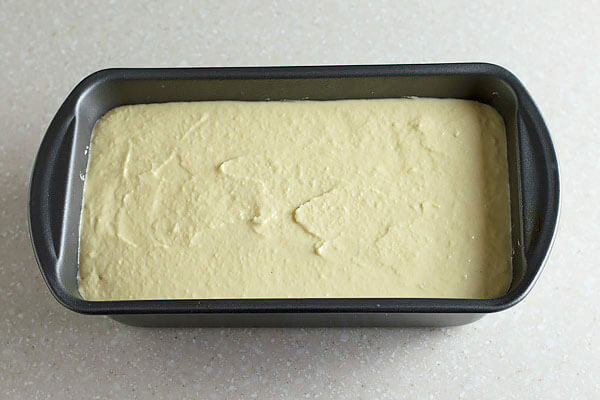 Pour batter into a loaf pan. Bake for 60 – 120 minutes at 350F or until smooth in the middle when tested with a toothpick. 7. If creating a glaze: blend together the powdered erythritol, vanilla extract, and heavy whipping cream until smooth. Wait until the pound cake is fully cooled from the oven before spreading the glaze on top. This makes a total of 16 servings of pound cake. Each slice comes out to be 254.19 Calories, 23.4g Fats, 2.49g Net Carbs, and 7.9g Protein. Preheat oven to 350°F. In a large mixing bowl, toss in room temperature butter, softened cream cheese and erythritol. 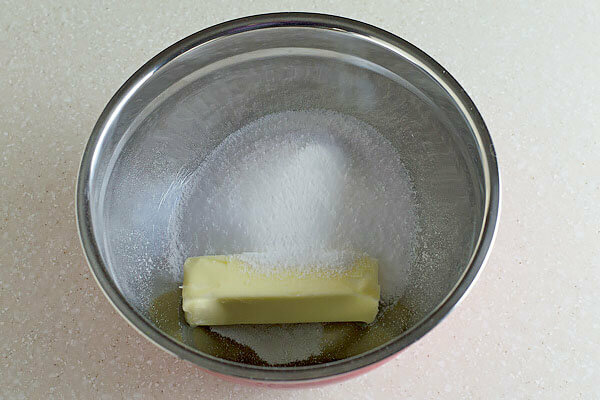 Cream together the butter and erythritol and until smooth. Then, add in softened chunks of cream cheese and blend together until smooth. Add in the eggs, lemon extract, and vanilla extract in with the blended ingredients. 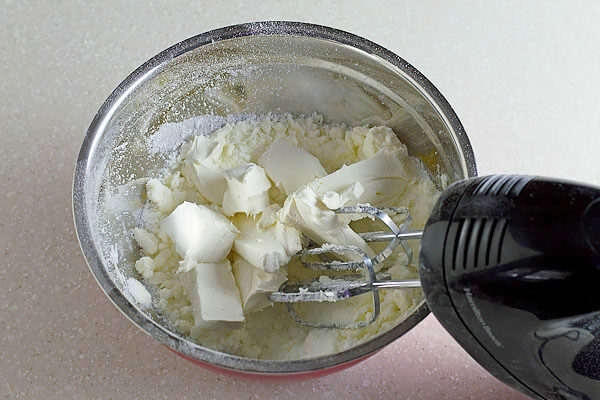 Blend with a hand mixer until smooth. In a medium sized bowl, mix together the almond flour, baking powder, and salt. Slowly add in the ingredients from the medium sized bowl into the batter. Use a hand blender to blend the clumps until very smooth. Pour batter into a loaf pan. Bake for 60 - 120 minutes at 350F or until smooth in the middle with a toothpick. If creating a glaze, blend together the powdered erythritol, vanilla extract and heavy whipping cream until smooth. Wait until the pound cake is fully cooled from the oven before spreading the glaze on top.